The Montgomery Canal again features heavily in a blog entry, as once more I got a number of sessions in to and from Park Hall. As I pass over the canal, the detour is less than a minute and as I have a mini-rod and reel set-up with me, I’m fishing in no time at all. As I’ve written many times, when time is tight there’s no need to stop fishing. Just try something different. There was a time when I would never have imagined I’d be fishing the way that I am. Ultimately though, angling is just a hobby and it doesn’t pay the bills. Work has to come first and in my case being involved in the world of football isn’t too bad a way of making a living. Plus, although I’ve had to change my fishing habits, at least I can cast a line most days. In the case of my sessions around The New Saints, I set myself the time limit of thirty minutes. All those half hours add up though plus the most important thing is I’ve been fishing. As long as I can get out, albeit just for a short time, I’m happy. Fishing with my usual 1/3 ounce lead approach and a size 18 Drennan Super Specialist hook, a single maggot over loose offerings is a simple approach but it works. I caught lots of small roach on the canal, none anywhere near big enough for the net. It’s all good fun though and that’s what angling should be all about. I also managed to fit in an hour during the day on my more local Staffs/Worcs Canal. Using the same approach of my Poachers Pocket set-up, this time I took a chair as opposed to sitting on the grass. I did have a few roach bites but just the one fish. Although still small, a step up from the Montgomery Canal tiddlers. I also had bream as well. 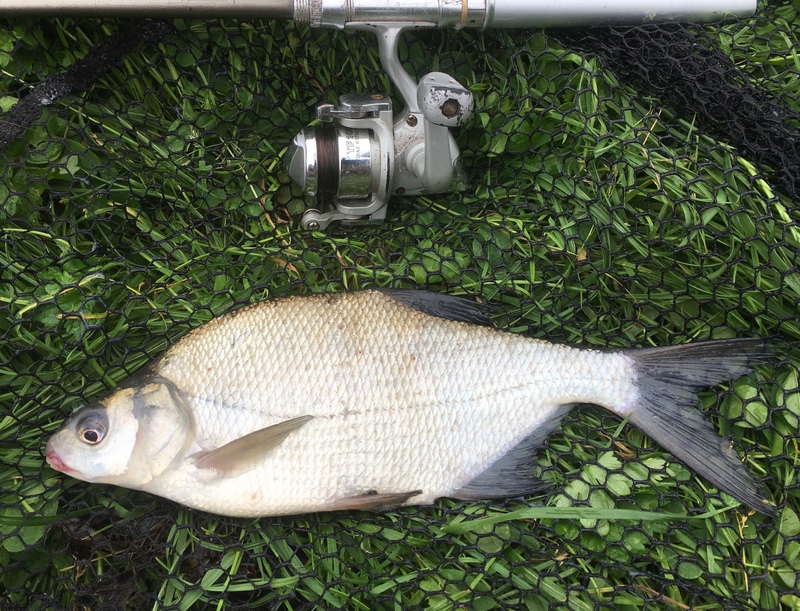 I have had them much bigger from the canal but with the tackle I was fishing with, even small bream give great sport.